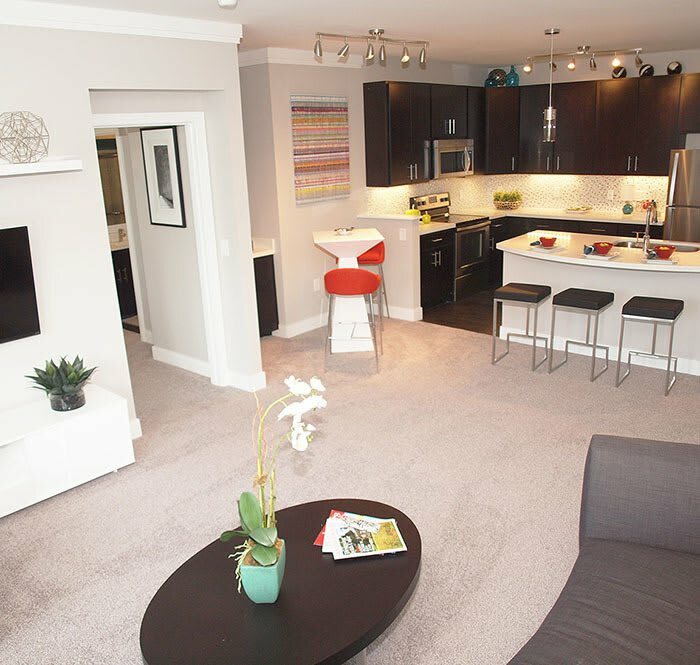 Savoy at the Streets of West Chester gives you 13 great floor plan options in our one and two bedroom apartments. Several styles feature sizable bonus rooms that are perfect for your home office, a guest room or that game room you’ve always wanted. These homes are designed so that you can see and feel every square inch of space. The rooms, the closets, the windows all add to the sense that you have room to roam. Our open concept floor plans are perfect whether you frequently entertain guests or if you just appreciate the feeling of wide open spaces. Unwind at the end of the day with a glass of wine on your walk-out patio or your spacious balcony with a courtyard or pool view. Feel confident preparing meals in your gourmet kitchen knowing you have everything you need. These are the kinds of details you’ll find at Savoy at the Streets of West Chester. It’s the kind of place you’ve been looking for and now we’re in the location you’ve always wanted. You want amazing closet space? You’ll find it here. You want bright, open airy rooms? You’ll find them here. You want an intercom entry building with a parking garage? You’ll find it here. Call us today to schedule a tour. We can’t wait to show you all the benefits that come with living at Savoy.